The Massachusetts Eye and Ear is an accredited hospital dedicated to the care of the eye, ear, nose, throat, head and neck, providing both inpatient and outpatient care. Mass. Eye and Ear began as a small clinic in 1824, established by Drs. John Jefferies and Edward Reynolds who provided free eye care. Hospital services later expanded to include otolaryngology (ear, nose, throat, head and neck). Mass. Eye and Ear has always been on the forefront of medical innovation. For example, the first eye pathology lab was established there in 1900. Today Mass. Eye Ear continues to be a leader in eye and ear care and research. Mass. Eye and Ear is home to the Eaton-Peabody Laboratory of Auditory Physiology, the world’s largest hearing laboratory in which the technology used to test for deafness among infants was first developed. After uniting with Schepens Eye Research Institute in 2011, Mass. Eye and Ear formed the world’s largest and most robust private basic and clinical ophthalmology research enterprise. Mass. Eye and Ear is a Harvard Medical School teaching hospital and trains future medical leaders in ophthalmology and otolaryngology, through residency as well as clinical and research fellowships. Internationally acclaimed since its founding in 1824, Mass. Eye and Ear employs full-time, board-certified physicians who offer high-quality and affordable specialty care that ranges from the routine to the very complex. These medical professionals at Mass. Eye and Ear, which consist of pediatric and senior citizen specialists, provide care to all ages. Mass. Eye and Ear has 13 locations, including 800 Huntington Avenue in Boston, where Mass. Eye and Ear, Longwood, houses a new and state-of-the-art outpatient and surgical center. In Brookline, the Mass. Eye and Ear and the Beetham Eye Institute have collaborated at the Joslin Center for Diabetes to research and provide services for complex diagnoses in eye and vision problems. Its main campus is located on Charles Street in Boston and can be reached by the MBTA red line at the Charles/MGH Station. The other locations, in Stoneham, MA, can be reached by bus 132 from the Malden Station on the orange line. The Stoneham Campus hosts the department for Otolaryngology (ear, nose, and throat) and Ophthalmology. The South Suburban center is located at 500 Congress Street in Quincy, and it is home to the Otolaryngology center. The West Suburban Center is located at 200 Washington Street in Newton. This center can be reached by the “D” line at the Woodland stop, and it is also home to an Otolaryngology center. In East Bridgewater there is an Ophthalmology, Otolaryngology, and Audiology Center located at 400 N. Bedford Street on Route 18. 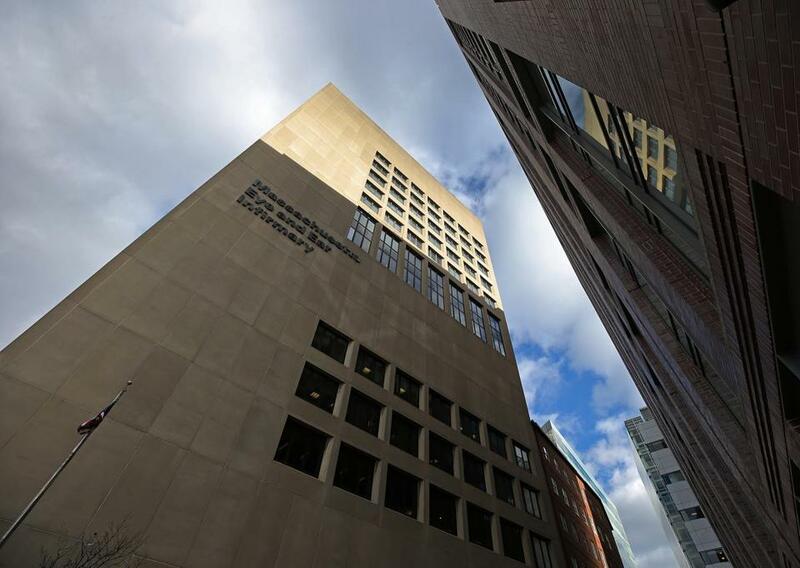 U.S. News & World Report’s “Best Hospitals Survey” has consistently ranked the Mass. Eye and Ear Departments of Otolaryngology and Ophthalmology as top five in the nation. For information or to make an appointment, call 617-523-7900.